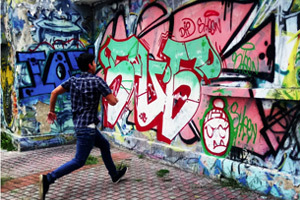 Wander Quito: Free Walking Tours of the city! Delve into everyday Quito life as you discover the city’s churches, traditional delicacies and its best views on our 3-hour walking tour through the Old Town. Your guide will point out all the spots you’ll want to re-visit on your own! We’ll gather at the “Plaza de San Blas" (Avenida 10 de Agosto and Calle Francisco de Caldas). The tour begins at 10:30 AM, our guide will be wearing a red t-shirt. Note: Please bring something to tip your guide (recommended $5-10)! Tour days: Monday, Tuesday, Wednesday, Thursday, Friday & Sunday. Experience the best of this vibrant city by exploring the streets like a local. Get an authentic glimpse into Old Town life as you explore some of the city’s classic neighborhoods and plazas, as well as the best-kept secrets that only a local guide can show you. Get a taste of some delightful traditional treats as we take you to Quito’s typical hole-in-the wall pastry and ice-cream shops. Quito’s weather can be unpredictable, be prepared! Camera, cash (please tip your guide! ), comfortable shoes, water, sun protection (sunscreen, hat, glasses), rain protection (umbrella or rain jacket) and a light sweater. 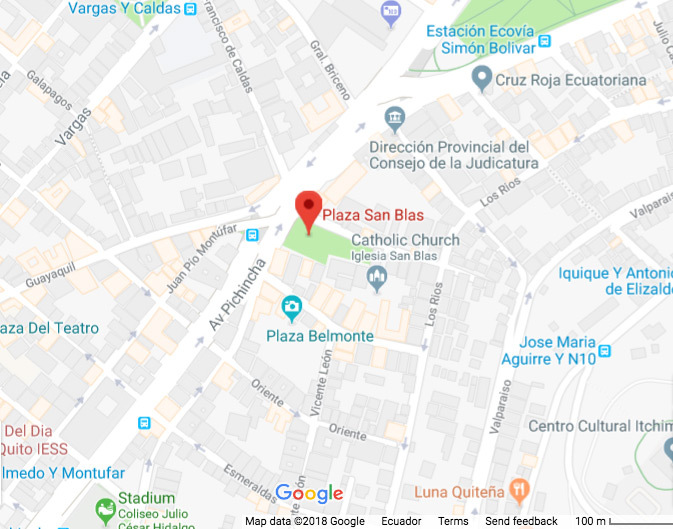 Plaza San Blas should only be a short walk away, ask your hotel receptionist how to get there. Otherwise, take a taxi (Cost: $1.50 - $2.50) and tell the driver, “Plaza San Blas, Avenida Pichincha y Calle Guayaquil” (the intersection). Take a bus! 1. Jump on the “Ecovia” going South along Avenida 6 de Diciembre and get off at the “ Simon Bolivar” stop. Walk 3 blocks southwest to reach Plaza San Blas. 2. Take the “ Trolebus” going South on Calle 10 de Agosto and get off at the Hermano Miguel stop, across the street from Plaza San Blas. Check out other free walking tours of La Floresta and Guapulo neighborhoods at Quito Street Tours!